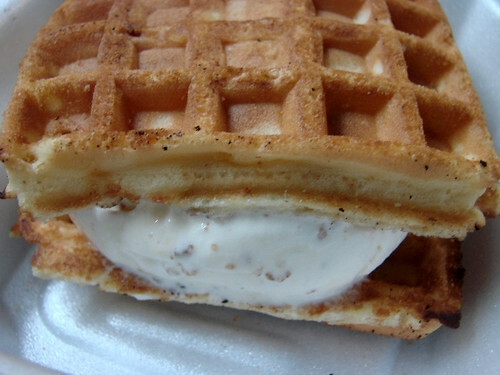 Blondie and Brownie: Grapenut Ice Cream is Back at the Prospect Park Uncle Louie G's! 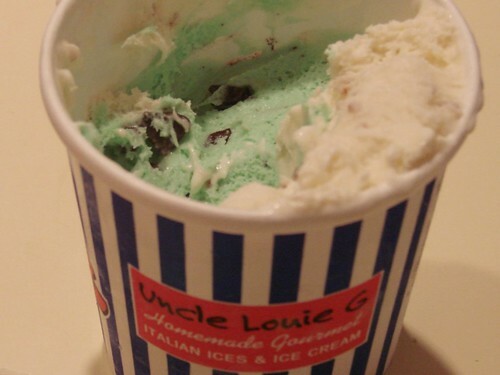 Grapenut Ice Cream is Back at the Prospect Park Uncle Louie G's! The other night Lawman went on an ice cream run and noticed a small sign that said Grapenut Ice Cream is available here. Sweet! Also discovered that they'll do two flavors in their hand packed pints. I highly recommend getting Grapenut with Mint Condition Chocolate Chip. Toscanini's!!! I used to love their grape nut ice cream.